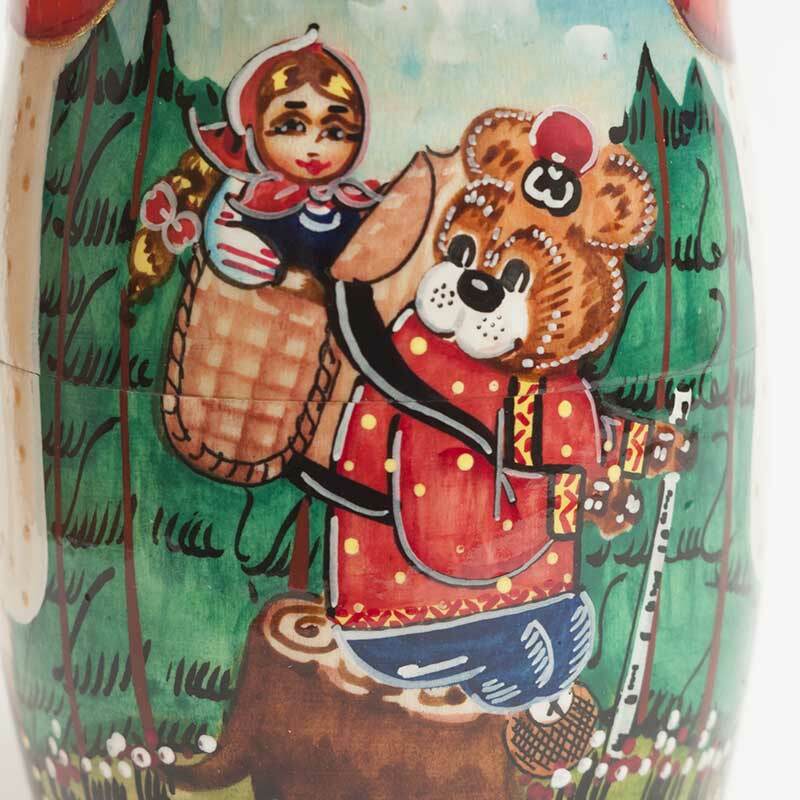 Russian Tale Masha and Bear is a hand-painted nesting doll on motives of Russian folk tale. 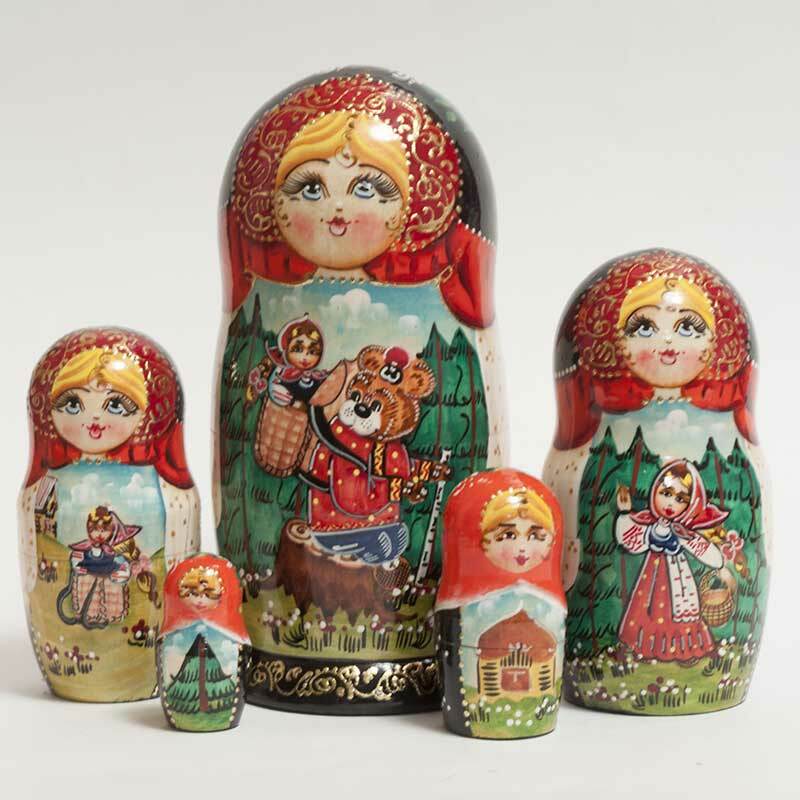 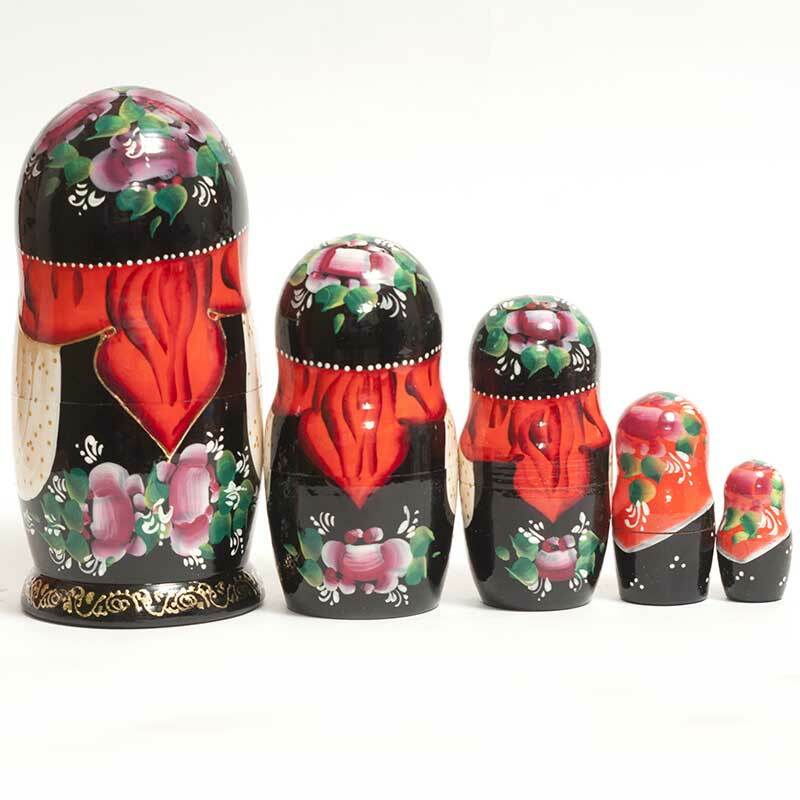 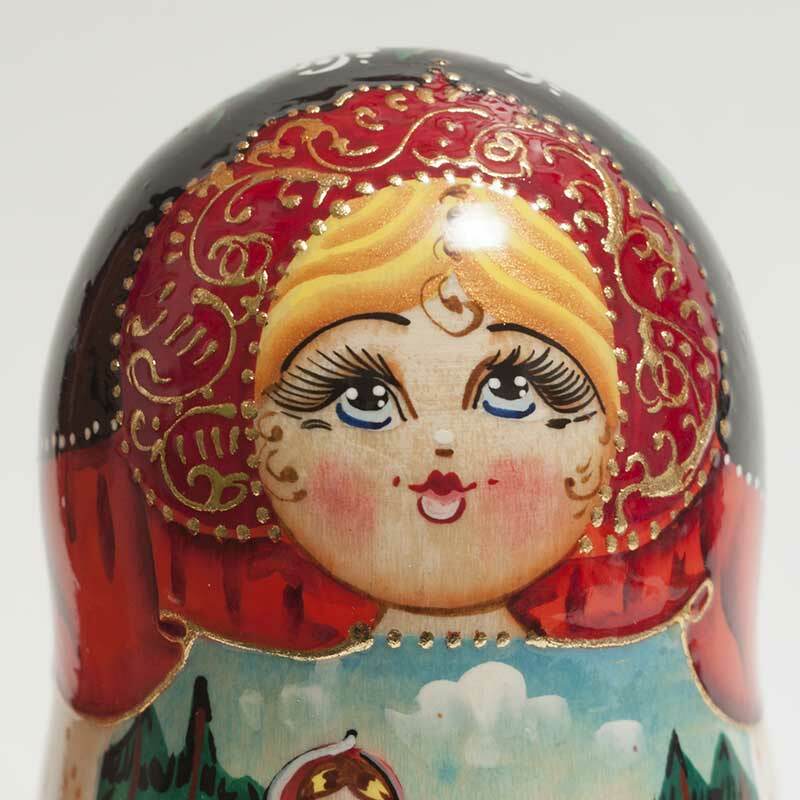 Beside fine painting the nesting doll is well decorated and finely finished with some layers of glossy lacquer. 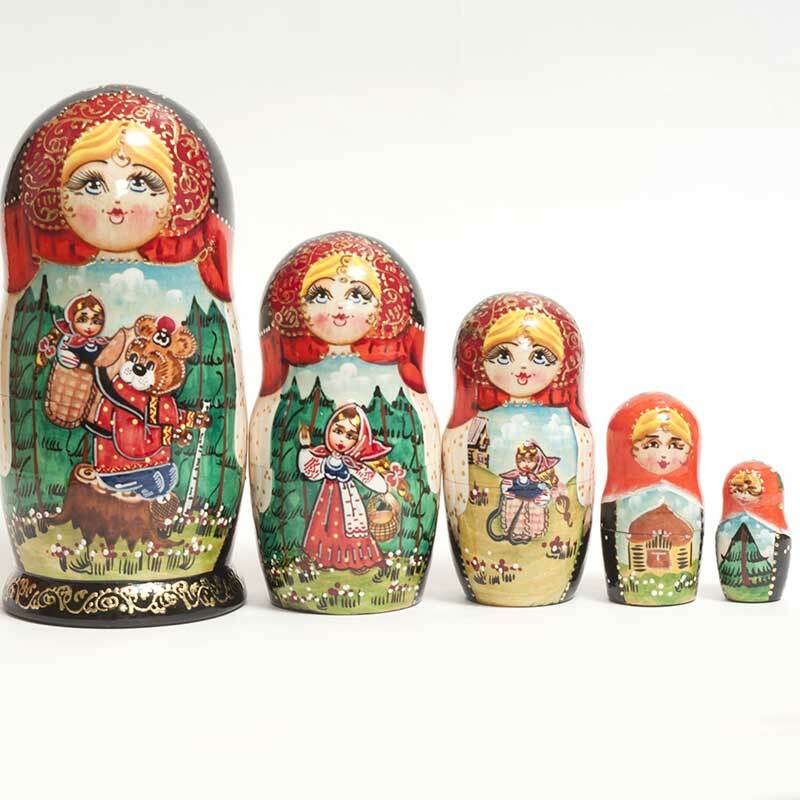 This nesting doll is made of soft linden wood, painted with non toxic paints.